Quantifying wildfire risk reduction for asset hardening. As part of the normal course of designing and maintaining its overhead electric system, SDG&E’s engineers and designers endeavor to regularly analyze circuits to determine and offer hardening and rebuilding projects in order to reduce wildfire risk and increase reliability. These risk reduction projects vary widely in cost, complexity, duration and distance. 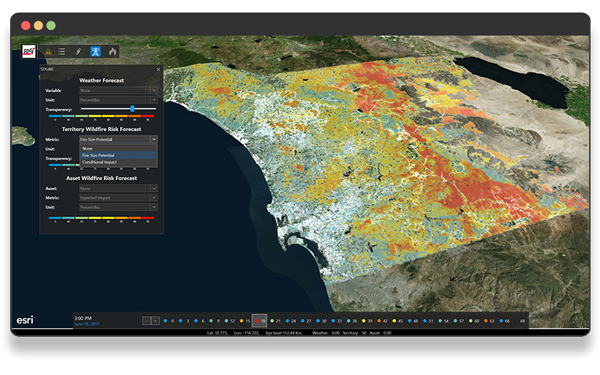 In collaboration with SDG&E, Technosylva used Wildfire Analyst Enterprise to develop a custom risk reduction analysis application that combines millions of fire behavior simulations with proprietary asset data, to quantify risk from each asset and calculate potential risk reduction for asset replacement. The Wildfire Risk Reduction Model (WRRM) software encapsulates the modeling results into an operational tool that allows SDG&E engineers to quantify risk reduction that will be achieved from different planned hardening projects. 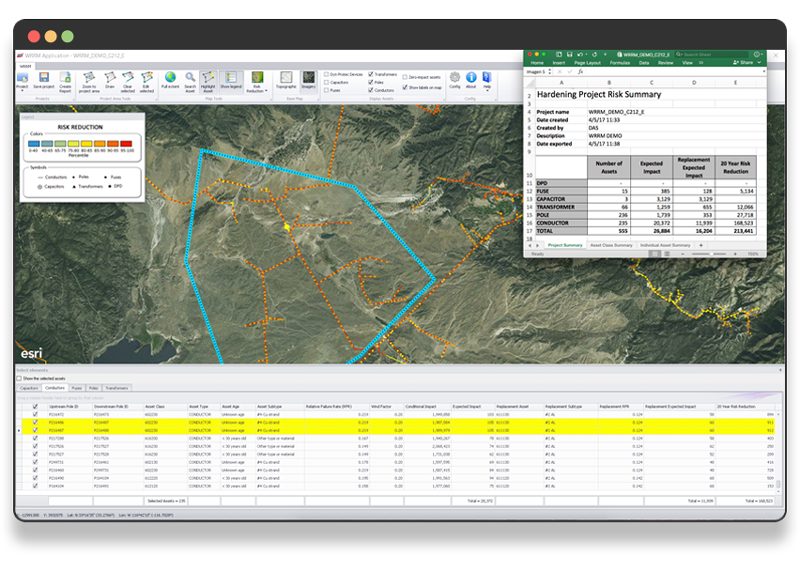 The SDG&E Wildfire Risk Reduction Model allows engineers to quantify wildfire risk and evaluate and rank potential hardening projects prior to implementation. Using the WRRM application, SDG&E engineers can evaluate and rank each project to determine the amount of fire risk reduction it would obtain as a result of completing any particular project. This allows SDG&E to determine where the greatest benefit can be obtained, while optimizing investment in their infrastructure. This ensures SDG&E meets all CPUC regulations on hardening risk reduction projects while at the same time ensuring the company exceeds stakeholder, community and industry obligations. SDG&E is an industry leader in technology innovation. The WRRM application builds upon SDG&E’s previous development of the Nation’s most advanced weather forecasting system. Monitoring daily weather & wildfire risk for San Diego County. Over the past few years SDG&E has invested heavily in the development of a real-time weather modeling system that provides state-of-the-art weather outputs and predictions for southern California. This system provides fire weather outputs in a near real-time basis, producing outputs that enhance fire preparedness planning and public safety. WRRM OPS uses detailed asset characteristics combined with fire behavior simulations to derive risk for each SDG&E asset for every hour in the forecast. This provides SDG&E tremendous insight into which circuits may be a concern given specific weather conditions. 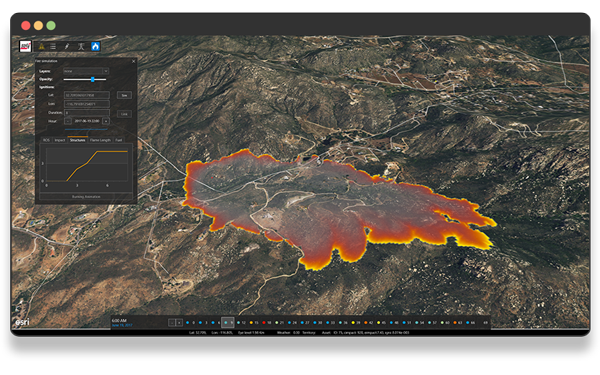 Working closely with SDG&E, Technosylva has developed a real-time wildfire risk monitoring application, that leverages the rich hourly weather forecast derived by the SDG&E weather modeling system. Coined WRRM OPS, the application provides hourly wildfire risk forecasts for a 3-day period. A wildfire risk forecast is derived twice a day, using Wildfire Analyst Enterprise to generate 10+ million wildfire simulations with each forecast. These simulations are used to calculate potential impacts and output risk metrics for each hour. These risk outputs provide a profile for the forecast period in addition to providing a framework for comparison against historical benchmark events and conditions. Risk is derived for the entire SDG&E service territory showing risk potential, independent of SDG&E assets. In addition, risk is calculated specifically for SDG&E assets, using detailed asset data, to determine which assets are of concern during certain weather conditions. WRRM OPS is the first real-time wildfire risk monitoring system in the Nation that utilizes advanced fire behavior simulation modeling. 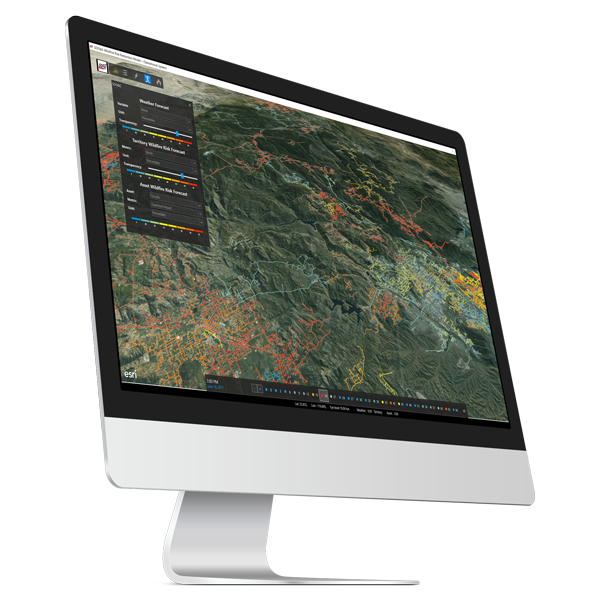 The system models over 20 million wildfire simulations a day, something that is only possible with the advanced capabilities of Wildfire Analyst Enterprise. WRRM OPS also provides a real-time tool that can be used to interactively simulate wildfire growth during active incidents. As such, the system not only provides daily risk monitoring, but also real-time modeling to support incident command decision making. WRRM OPS can also be used to interactively simulate wildfires for specific ignition points.